Well that didn't last long! 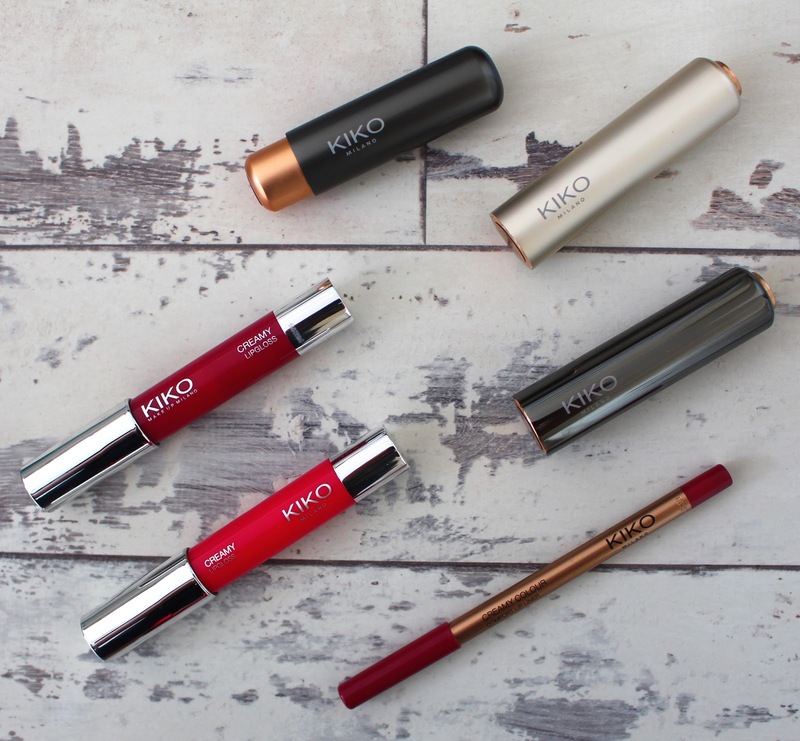 I did a little shopping in Kiko for the first time and went a little bit crazy buying 6 different lip products. Matte Lipstick in Velvet Passion- This is a bit of an out there shade for me as it's a bold bright matte pink. It's a little intimidating, but I'm looking forward to trying such a bright colour. Sheer Lipstick in Glossy Dream- I have to admit, this creamy light pink is way too light for my skin tone to be worn on its own. I have to mix it with other lipsticks to make it work for me, but the sheer formula is really lovely. Creamy Lipstick in Gossamer Emotion- I love this shade! It's a very pretty sheer mid toned pink. It does have a slight shimmer running through it which translates to slightly metallic on the lips, but it's very wearable. Creamy Lipgloss in 107- Although this is glossy, I wouldn't call it a lip gloss. It's a glossy lip crayon which I do tend to lean towards when shopping. They're so convenient and easy to apply throughout the day. This shade is a slightly deeper pink that would look gorgeous on darker skin tones. Creamy Lipgloss in 109- This one is a medium toned classic pink. It's very pretty and very summer appropriate. The lip crayons have a really smooth consistency and glide onto the lips. I have a feeling I'm going to be getting more of these. Creamy Colour Comfort Lip Liner in 313- I've been looking for more lip liners lately and this shade is gorgeous. It's a wearable berry lip liner. So far the formula is one of the best I've tried. It applies so well and is true to its name. Very creamy and very comfortable. I've never tried anything from this brand but all of these products sound so lovely!! The lip liner looks and sounds amazing!! <3 lovely post! !